Location: Stone Creek Campground, Mt. 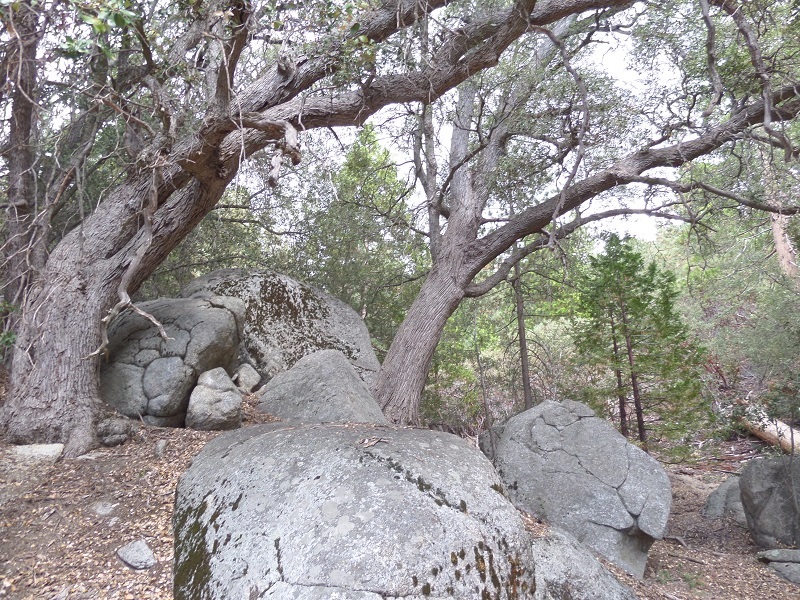 San Jacinto State Park, Idyllwild. 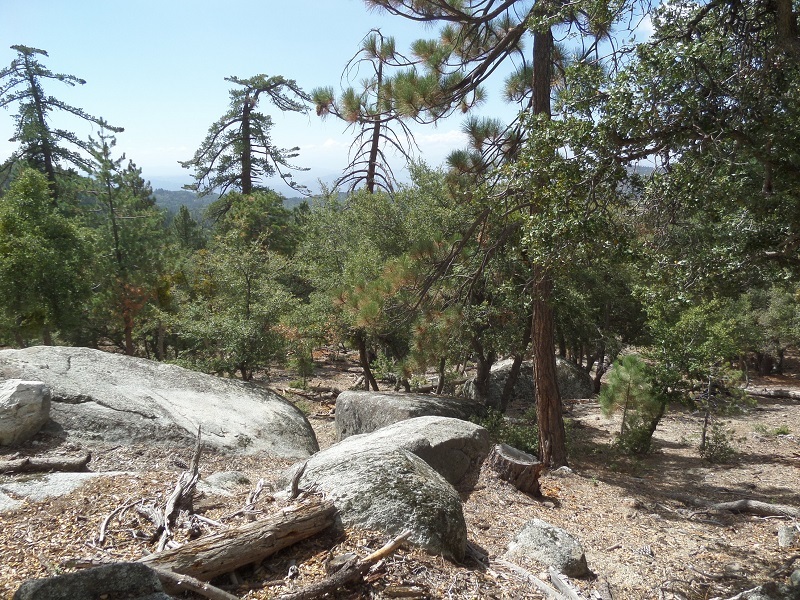 The campground entrance is on Forest Route 4S02 (signed as Azalea Trails), on the east side of Highway 243, 19 miles south of Banning, 5.5 miles north of central Idyllwild and 9.8 miles north of the intersection with Highway 74. (If you are coming from the north, take the first left after the Allendale Ranger Station.) Follow the signs to the Stone Creek Campground. Stop by the office to pay the day use fee ($8 per vehicle as of this writing). Parking is available across from site 12 (the trail head begins between site 7 and 9). For a map of the Stone Creek campground, click here. Camping/backpacking: The trail is located at the Stone Creek Campground in Mt. San Jacinto State Park. 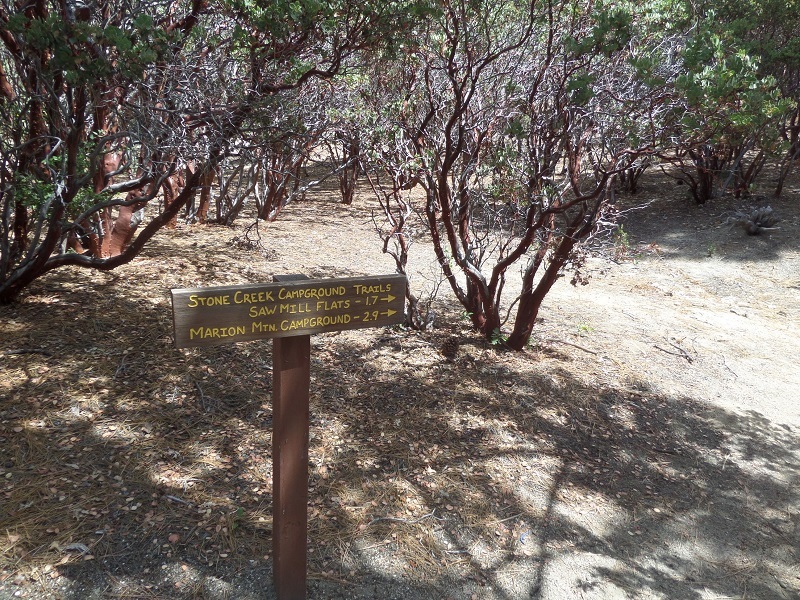 Other nearby campgrounds include Dark Canyon, Fern Basin and Marion Mountain. 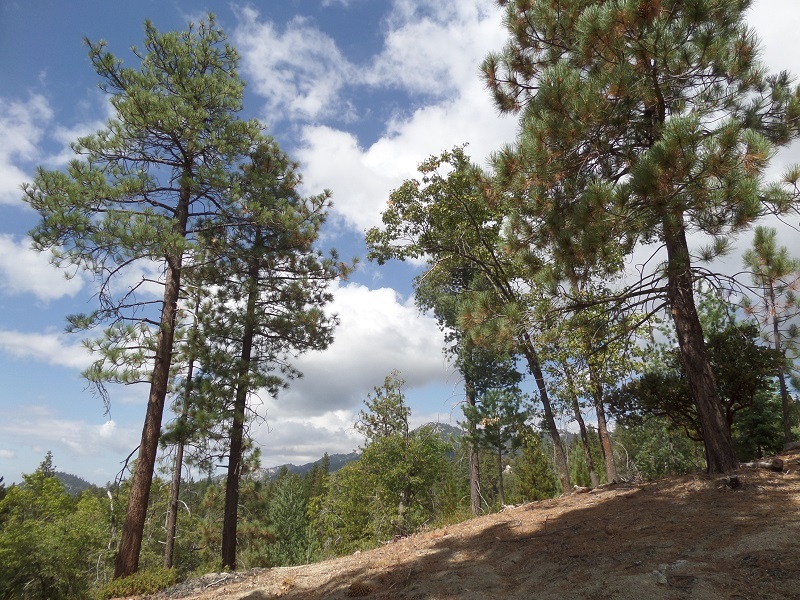 For information about dispersed camping in the San Bernardino National Forest, click here. This enjoyable loop explores the southwestern corner of Mt. San Jacinto State Park. 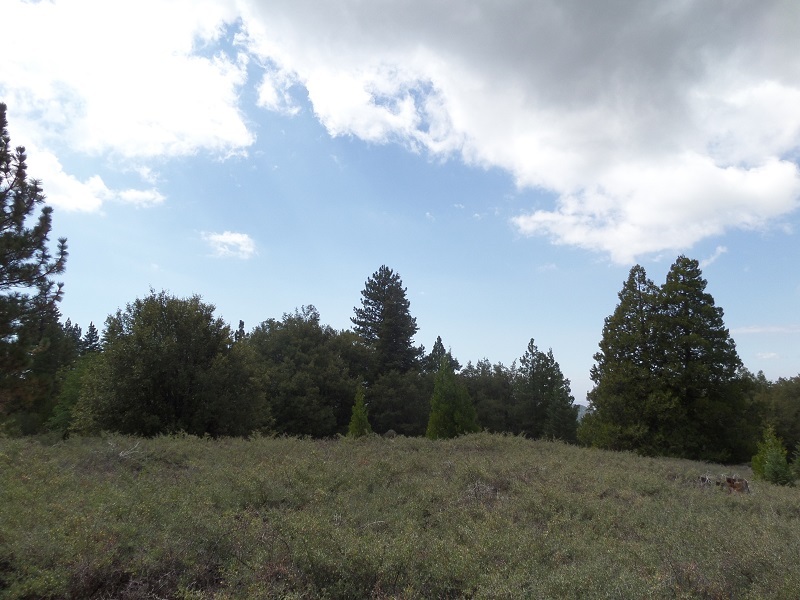 It features attractive mixed forests of oaks, pines and manzanita, glimpses of the higher peaks and the valleys to the west and Sawmill Flats, a secluded alpine meadow. While the hike lacks the dramatic panoramas that come higher up in the San Jacinto Mountains, it still makes a nice introduction to the area. The only drawbacks are occasional noise from Highway 243 and, for those who want to follow the loop described here, a mile and a half on pavement. 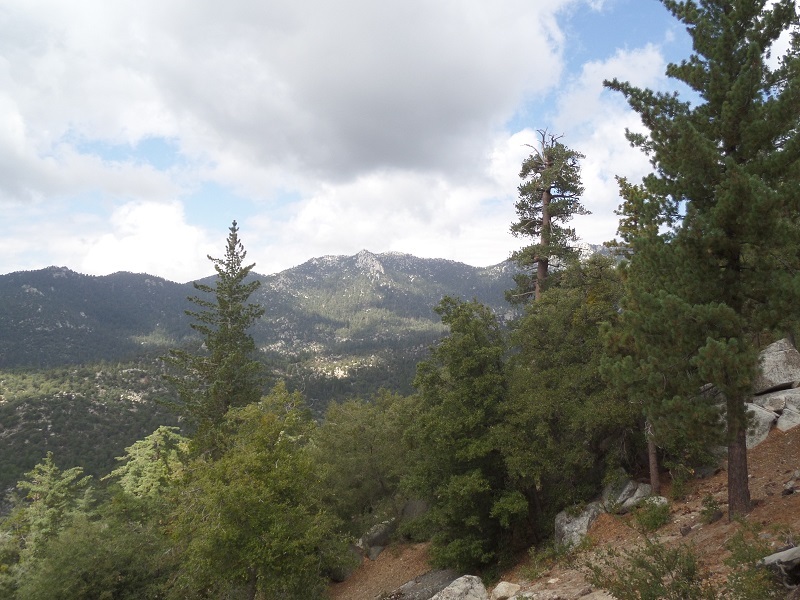 Nevertheless, it’s a good route to keep in mind if you’re looking for a moderate hike near Idyllwild that’s not too strenuous for hot summer days and usually doesn’t get enough snow to present hazardous conditions during the winter. 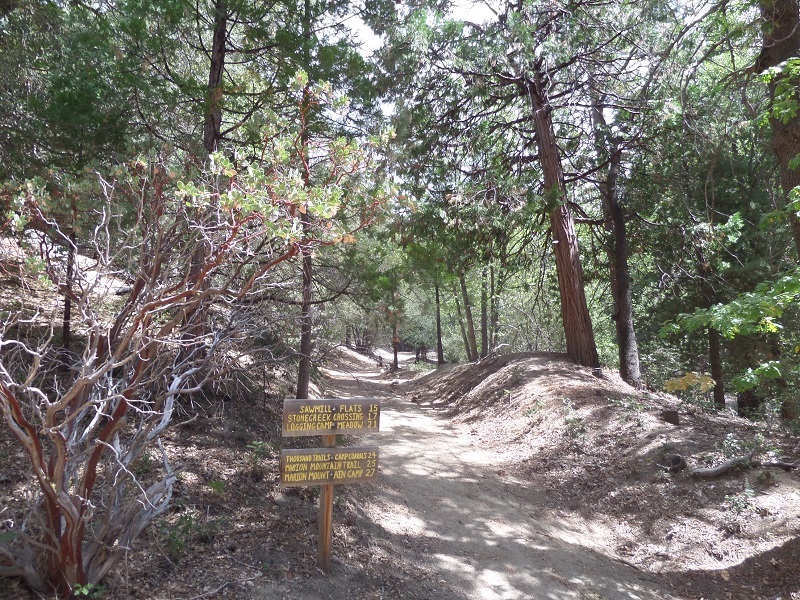 From the parking area, head back toward the trail head between sites 9 and 7 and follow the signed trail east, through a virtual tunnel of manzanitas. You drop down to a dirt service road (0.2 mile) and bear left, beginning a steady climb to a ridge with views of Black Mountain to the north and the town to the south. Stay left at another junction and continue your ascent, first southeast and after a hairpin turn, north. At 1.7 mile, you reach a junction. Head left on a single-track trail which soon brings you to Sawmill Flats. This scenic spot was once the home of a sawmill (its foundation are still visible). There are several places to sit and enjoy the peace and quiet here beneath the tall pines. For hikers short on time, this makes a good turnaround point. To continue, follow the trail as it heads north out of the meadow, back into a thick forest, mainly black oaks with a few pines and cedars. Between the trees are glimpses of Diamond Valley Lake and the surrounding hills far below to the west. You soon cross the boundary from the state park to the national forest, marked by a large fallen tree. There are a few spots where the trail is faint but it’s never too difficult to follow; other than the occasional tree blocking the route, the terrain will never be too difficult. Eventually you reach the high point of the route (about 6,500 feet above sea level) and begin a descent to the Marion Mountain Trail, reaching it at 2.8 miles from the start. 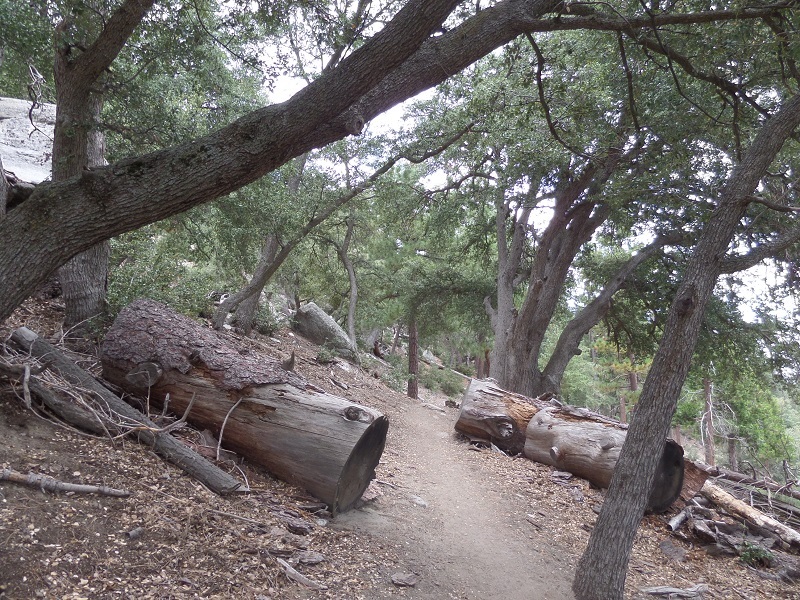 The Marion Mountain Trail, of course, is one of the more popular western routes to San Jacinto Peak and you may see ambitious hikers or backpackers beginning their long quest to the summit at this point. To complete this loop, turn left on the trail and head downhill. Keep an eye out for the signs; there are a few potentially confusing junctions but the route is fairly well marked. The trail skirts above the campground, taking in some good views of the valley to the west. After half a mile on the Marion Mountain Trail, you reach its lower terminus. Turn left and follow the paved road downhill past the other campgrounds to the entrance of Stone Creek, back to the parking area. You are very welcome! It’s always nice to hear that people are finding good hikes on this site – that’s why I do it. Thanks for the correction about Diamond Valley Lake, I made the edit.